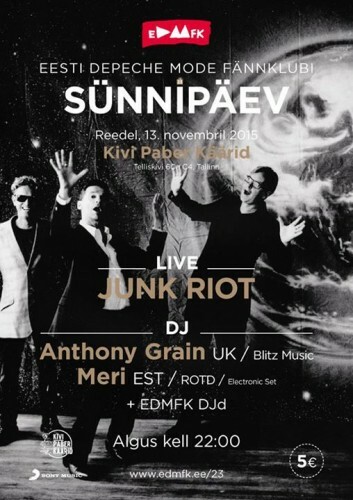 Supporting top Estonia band Junk Riot, Blitz Music are pumping out the DJ sets for the Estonia Depeche Mode Convention at Kivi Paber Käärid in Tallinn. Playing electronica and all things Depeche Mode (of course! ), also: The Smiths, The Cure, Front 242, Nitzer Ebb, Echo and the Bunny Men, Simple Minds, The Cult, New Order – plus many more!